What do Skype, Boeing, Bosch, and eBay have in common? In addition to billions of dollars in revenue and millions of clients worldwide, it is the choice of outsourcing location that unites the aforementioned companies. They were among the first to see the potential of Ukraine as an IT service provider. Over the last decade, the country has gained global recognition as an outsourcing location. Ukraine was ranked as the #1 outsourcing market in Eastern Europe, according to Outsourcing Journal, and the #1 country in the CEE by outsourcing volume (CEEOA). Gartner listed the country among top 20 offshore locations in the EMEA, while A.T. Kearney put Ukraine at 24th place in their Global Services Location Index 2017. In this article, we will look into the current state of Ukrainian IT industry. So, if you are planning to hire offshore developers in Ukraine, dive right in! The IT services market in Ukraine is a bastion of steady growth. According to a recent PwC analysis, the market increased by 150% in the period from 2011 to 2015, and has the potential to reach $5.7 billion by 2020. Despite the growing number of startups and product companies, outsourcing remains the leading segment of Ukrainian IT sector. In the first half of 2017, IT export volumes increased by 18.3% (to $1.256 billion) compared to the same period in 2016. This makes information technology the third largest industry in Ukraine by export volume, generating over 3% of GDP (expected to reach 15% by 2020). According to a range of sources, export accounts for 75% - 90% of the total IT services provided by local companies, compared to the 8% allocated to internal projects. Software development alone makes up more than 70% of Ukrainian outsourcing volume. How many software development companies are there in Ukraine? The number of software development companies in Ukraine has been growing steadily as well: from 940 in 2009 to 1050 in 2011. As of now, the numbers range between 1391 and 1650, according to different sources. In fact, the actual number of IT companies in Ukraine could feasibly be significantly higher, if we take into account the small web studios with less than 10 developers and agencies that have one major client. Such companies often don’t have the resources to promote themselves or are too young to be registered in any listings or catalogues. Where are most Ukrainian software development companies located? The latest research by StackOverflow found that there are around 166 thousand software developers in Ukraine, some 35% of the entire Central and Eastern Europe engineering talent pool. Logically, as its largest city, over 40% of Ukrainian programmers live in Kyiv. Other popular locations include Kharkiv, Lviv, Dnipro, and Odesa. Most sources suggest that approximately 60% of Ukrainian software developers are currently employed in outsourcing. That’s why it comes as no surprise that majority of companies that export IT services are located in the cities with the largest talent pool. For instance, Kyiv hosts over 40% of all software development companies in Ukraine. What is the average software development company size in Ukraine? Most local software development companies are mid-size agencies: 41% of the vendors listed in the report by Ukraine Digital News have 20-99 employees, while businesses with 100-299 staff members make up an additional 18%. It is worth mentioning that many small software development companies (<20 employees) in Ukraine are web studios or tight-knit developer groups that work with one client. However, the revenue of some of the larger software development companies in Ukraine can also depend on one major client. In these cases, the majority of developers are hired to work on the main project, and if the client leaves, the development company has to restructure, find a new client, or lay off most of its staff. 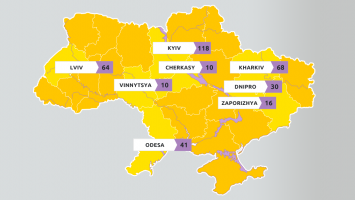 In Ukraine, there are more than 160 mid-size companies with 50+ employees. Daxx is one of them, listed among top 50 Ukrainian medium/large-scale IT companies. The number of developers in the given companies has a steady growth pattern (on average 6-7% per month). Many of the large software development companies operating in Ukraine are headquartered in other countries, including the USA, Israel, Denmark, and Switzerland. For example, Daxx is a Dutch-owned company with development centers in Ukraine. Moreover, some of Ukrainian companies are expanding outside of Ukraine by opening offices in Poland, Bulgaria, Romania, Belarus, and Spain. According to Ukraine Digital News, the United States remains the key target market for the majority of Ukrainian software development companies, taking up approximately 80% of exported IT services. The EU countries, especially the Nordic bloc, and Israel are also among popular export locations, which is no surprise taking into account geographical proximity and the lack of local resources in the given regions. What is the main industry focus for Ukrainian software development companies? The most popular business domains among software development companies in Ukraine are eCommerce, enterprise, and finance. Almost 50% of the providers listed on Clutch.co list one of these three industries among their core competencies. Other popular business domains include education, healthcare, travel tech, and telecom. What are the core web technologies used by Ukrainian IT companies? The most used web development tech stacks among Ukrainian companies are PHP, Python/Django, .NET, and Java. CMS solutions, including Drupal and Wordpress, are less popular. It is impossible to estimate the market share of mobile engineering in Ukraine: Most software development companies offer both web and mobile app development services. As for the main focus in mobile development, most Ukrainian providers tend to focus on native iOS and Android development, with Android being slightly more popular. Hybrid and cross-platform solutions are losing their popularity among Ukrainian companies. The main target audience for mobile development companies in Ukraine is small businesses and startups: 51% of companies list these market segments as their primary focus area. However, there is vast expertise in enterprise-level projects: Clients of Ukrainian companies include Microsoft, AOL, Oracle, Citi, Cisco, and Intel. Over 60% of companies specializing in mobile app development offer solutions for wearable devices as well. In addition to that, a significant amount of Ukrainian mobile development companies have expertise in IoT and AR/VR domains, and even Blockchain. 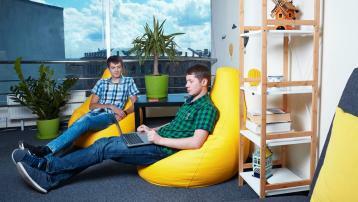 Game development is another booming part of the Ukrainian IT sector. With its market worth $195 million according to Newzoo, Ukraine ranks 3rd among Eastern European countries and takes 42nd place in the global rating. The sector is growing quickly, helped by high demand and interesting projects, and the number of professional game developers in Ukraine is also showing steady growth. A lot of game design and Unity 3D game developer schools are opening in the country to cater this demand. There are currently around 100 companies that specialize in both mobile/social gaming and video game development, including some world-famous product companies. Some of the most popular Ukraine-born video games are S.T.A.L.K.E.R. and Metro 2033. The Ukrainian game development industry has seen some outstanding growth recently, thanks to several major acquisitions and a steady inflow of investments. A Ukrainian game analytics startup even won the TechCrunch Disrupt challenge in 2016. Many software development companies in Ukraine run small game studios or even specialized training courses focused on game design and development. Unity 3D developers remain in high demand here, which goes some way to explaining why C# is the third most popular language among Ukrainian software developers with a 14.9% market share. Prevailing business models among Ukrainian software development companies. How do they work? If you choose this model, your provider will handle all aspects of the software development project from scratch. Outsourcing companies usually offer end-to-end services, including project management. 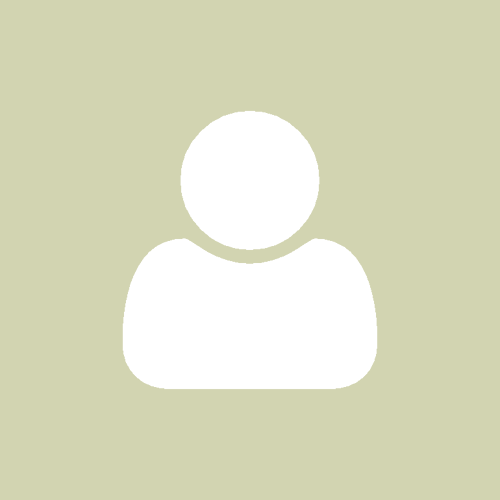 This means that the client doesn’t need to have tech expertise in-house to manage the process. Accordingly, all aspects of the development process are handled by the vendor with little involvement required from the client. However, in a typical project outsourcing company, developers will work on several projects simultaneously, which results in lower developer engagement rate and poorer commitment to the project. A dedicated team allows the customer to have better control over the software development process and leads to higher team engagement, mainly because the software engineers can focus on only one project. At the same time, this model still doesn’t provide the opportunity for a customer to choose their own software developers for the project (usually you can choose only from a limited number of candidates provided by the vendor). Moreover, in this case, project management is usually handled by the vendor as well. An extended team is an improved version of a dedicated development team. In this case, the team is assembled to specifically meet your project needs: you interview the developers and make hiring decisions by yourself. Moreover, you maintain full control over the development process: from managing your offshore team as if it were your in-house crew, to scaling up and down at any point of your cooperation. Thanks to direct communication and minimal third-party involvement in the process, your developers are 100% dedicated to your project and record higher productivity. In addition, this approach relies on so-called “Cost+” model, which comprises of software developer salaries and a fixed monthly service fee. Back in 1999, Daxx started out as an outsourcing company. However, we soon realised that our clients wanted to have more control over the development process, which is why we decided to adopted the extended team model. Since then, we have helped over 85 companies all over the world connect with talented Ukrainian developers and extend their in-house software development teams.